Lifeonics Limited, the developer of smart, in‐situ analytical devices is pleased to announce the signing of a distribution agreement with APG-Bio, a Shanghai headquartered company with 68 dealer partners nationwide, offering innovative instrument and reagent solutions to the life science and industrial markets. APG-Bio and its partners have recently launched SMOD™, a unique, miniaturized device for non-­‐intervention monitoring of cell culture fermentation, ideally suited for laboratories growing cells in flasks. 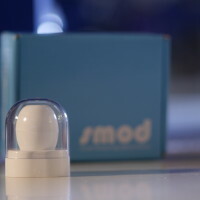 SMOD acquires optical density and temperature measurements within the flask, according to user­‐defined protocols and reports data via wireless communication to a lab-­‐based PC. Data is also made available to mobile devices over local networks.